Among poets, explicitly writing about one’s own life is rarer than some readers might think. That makes the title of Toi Derricotte’s new book, “‘i’: New and Selected Poems,” a bit unusual. The Pennsylvania Department of Conservation and Natural Resources is banking on Democratic Gov. Tom Wolf's "Restore Pennsylvania" infrastructure plan to fix its aging parks. The governor's plan would be funded by a severance tax to the natural gas industry, something Republicans in the legislature have repeatedly rejected. Pittsburgh shows up in the report on Russian interference in the 2016 election by Special Counsel Robert Mueller. More mothers are turning to milk banks for pasteurized donor human breast milk to give to needy infants. The organizations collect, test and treat the milk that is later provided to babies who wouldn't otherwise receive its benefits. Pennsylvania’s chapter of the American Civil Liberties Union is ending a seven-year lawsuit over a lack of funding for public defense in Luzerne County. Pennsylvania is the only state in the country that doesn’t provide any funding or central oversight for criminal defense of its poorest people. It leaves the job totally up to counties and some, like Luzerne, have been found lacking. Sixteen-year-old Isabelle Walker sits at a black lab table wearing a lab coat. She stares down at a petri dish. “We’re trying to see how different bacterial colonies grow in different conditions,” she said. Visitors to the Historical Society of Carnegie typically come for two reasons: they love former Pittsburgh Pirates great Honus Wagner or they have a connection to the small, southwestern Pennsylvania borough. Few legislators are more supportive of Pennsylvania’s natural gas industry than state Sen. Gene Yaw (Bradford), who serves as the Republican chair of the Senate Environmental Resources and Energy Committee. A renewed legislative effort to curb the use of disposable plastic shopping bags in Pennsylvania is milder than measures enacted or proposed in some other states and may not achieve its goals of reducing waste and cutting the use of fossil fuels even if it becomes law, advocates said. At a Duquesne Light facility in Pittsburgh, 10 high school students hunched over sheets of paper, pens in hand, as they sketched their dream homes. Jim Brunton pulled his boxy delivery truck into the loading dock of his family’s milk plant after wrapping up his weekly door-to-door route, which starts around 4 a.m. The Pennsylvania Game Commission said Wednesday that it would cost $1.7 million to make a beloved, well-known hiking trail safe for the public — which is why the agency plans to close it altogether. The Glen Onoko Falls Trail has proven to be too dangerous, and the game commission has no money to fund safety improvements, said the agency's spokesman, Travis Lau, who confirmed the trail will close indefinitely on May 1. More than 400 firefighters answered the call when fire broke out in the Notre Dame Cathedral this Holy Week. 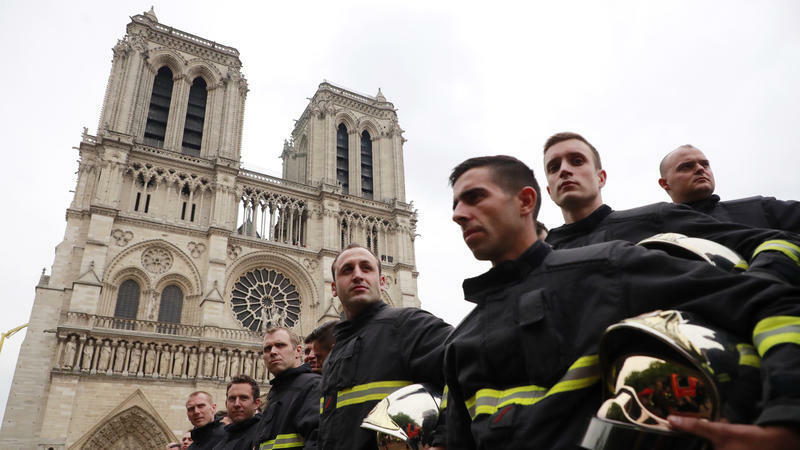 As Lieutenant Colonel Gabriel Plus, spokesperson for the Paris firefighters, told the Agence France Press, "One doesn't imagine as a Paris firefighter one day intervening to save Notre Dame!" "Time worked against us," he said. "The wind was against us, and we needed to retake control." Weekdays at 9 a.m., newsmakers and innovators join host Kevin Gavin for one-on-one interviews and in-depth conversations about stories important to the Pittsburgh region.